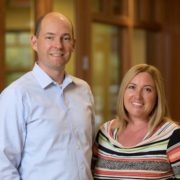 Tim and Natalia Smith, owners of FirstLight Home Care of Central Oklahoma City, have expertise in operations, customer service and healthcare, as well as personal caregiving experience. They started this agency to help others and to give back to their community. They are committed to delivering quality non-medical home care and senior care with exceptional service.